Mark McCall is confident Maro Itoje will be fit for the Six Nations after picking up a knee injury during England's November internationals. Itoje sustained the problem after featuring in all four Tests under Eddie Jones last month, with subsequent scans revealing a chip in his patella. 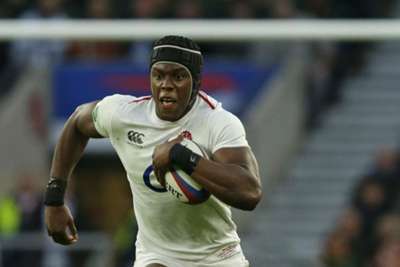 With the Six Nations due to start on February 2 there had been concerns Itoje would not be ready in time to feature when England travel to Dublin to face Ireland. But Saracens head coach McCall expects the lock to be ready and available for selection, providing there are no further complications. "It's not clear just how long it's going to be," he said after Saracens' 51-25 European Champions Cup win over Cardiff Blues. "He's got a chip in his patella. It will be more than four and less than eight weeks, I would say. But it will depend how functional he is. Maro Itoje will be out of action for a number of weeks due to a chipped patella. "It doesn't require surgery or anything, so it will depend how the rehab goes and just how functional he is." When asked whether he felt Itoje was being overused by England, McCall insisted he had no problem with Jones' selection policy, adding: "There's no issues with that at all. "He just got a bang on his knee, but you all saw how well he played in the [November] internationals, so there was nothing too sinister about it. Nothing to worry about. "But after he played for us against Wasps the pain was still there and we thought we're going to have to have a closer look. So we had a CAT scan done, but he'll be back in time for the Six Nations."